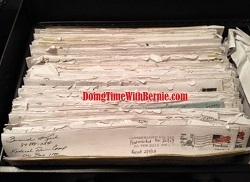 DoingTimeWithBernie.com: Corrupt Cop Convicted Felon Alleged Adulterer Bernard Kerik has all kinds of criticism for NYCDOC Rikers Commissioner Joseph Ponte. Never Forget. Corrupt Cop Convicted Felon Alleged Adulterer Bernard Kerik has all kinds of criticism for NYCDOC Rikers Commissioner Joseph Ponte. Never Forget. 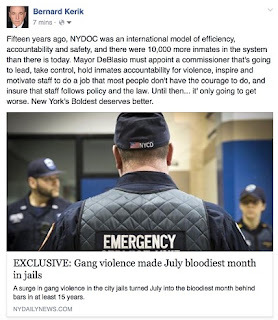 Corrupt Cop, Convicted Felon on Federal Probation, who still owes thousands of dollars in criminal restitution to the USA, Adulterer-on-Duty, Bernard Kerik, wants to show NYC Department of Corrections Rikers Commissioner Joseph Ponte how to overhaul a jail? Rikers Commissioner Kerik, back in the day, was known for showing up unannounced on those midnight shifts to supposedly catch staff in action. Of course Bernie Kerik, reportedly had his own kind of action going on with his SUBORDINATE CORRECTIONS OFFICER, JEANETTE PINERO. Here's a New York Daily News report of a resulting LAW SUIT against the city. 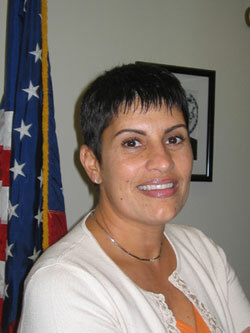 Then, of course, the New York Post reported the other "perks" Correction Officer, Jeanette Pinero, allegedly received in the form of "tax breaks" because she was the boss' girl. We shouldn't be blaming the current NYC DOC Commissioner Joseph Ponte. He inherited this mess at Rikers and change takes time. Commissioner Ponte, as best we can tell, has left corruption, adultery, cheating, eight federal convictions, Federal supervised release and a huge debt to the USA out of his resume. It's a shame Bernard Kerik couldn't keep it in his pants, on and off-duty, and control his stupidity and greed. Perhaps Rikers may have been a better place and Bernard Kerik wouldn't be a convicted felon, corrupt cop on federal probation still owing the government he cheated $180,000 in criminal restitution. Yup. Never Forget.